There are lots of database flavors: MySQL, PostgreSQL, Oracle, Microsoft SQL Server. Even with all of the variants, the SQL syntax remains relatively constant across all of them. We're using PostgreSQL because it's widely used, has handy analytical features, and it's popular in both data warehousing and production. I often find the need to use data in Postgres to fetch related data found in another system such as a CRM, MongoDB, or a website. Doing basic string concatenation makes it really easy to generate these queries in mass. I've found it to be really useful for spidering and web scraping. Fear not, Postgres has fantastic date functions to deal with this stuff. When I'm doing text mining I'm often tempted to immediately reach for a scripting language. While a language like Python, Ruby, or R definitely should make a showing in any text mining project, I advocate going as far as you can with SQL. Postgres has great built-in string functions that'll run much faster than any scripting language. Median is sort of the lost aggregate function in Postgres. It's one of those that everyone assumes comes standard but it actually doesn't for reasons that are beyond the scope of this post. For many DBAs and DW Engineers, it's the first custom function they write for a new Postgres instance. Here you'll find the page from the Postgres wiki with code snippets for a median function. In the gist below I'm using the pure SQL implementation. Sooner or later you're going to want to load some of that great data you've scraped from Yelp or some Census CSV file into your database. Once you have your flat file ready, cd to the directory and connect to your Postgres instance. Now execute the \COPY command, specifying the table name, column names (optional), filename, and if you're handling a CSV, then include the CSV argument. This file also has a header row so add an additional argument HEADER. And there you have it, you can now query Ferris Bueller's Day Off! Sometimes you'll get just one row that has some strange comma or hyphen that messes up your \COPY statement. To skirt around this, create a staging table where every column is varchar. Once the data is in your database, create a query that casts columns to the appropriate data type and deal w/ isolated issues at that point. Some of these are pretty standard, but I couldn't chance leaving any of these out. I use these features every day. order by random() is extremely helpful when you're just trying to get a feel for a table or database. It does pretty much what it sounds like it does--it returns things in random order! Double colon :: is shorthand for casting columns to different data types. 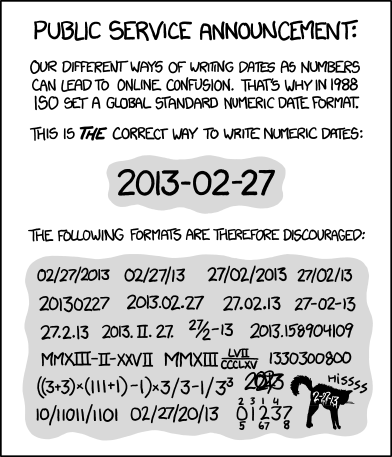 It works well with dates (and does a pretty good job of guessing what format you're using), and does just as good with floats, ints, and other numerics. Select into syntax is by far the easiest way I've found for creating tables on the fly. It's ruined me for pre-defining tables.